When our neighbors asked if we’d be willing to go in on matching mailboxes for our shared mailbox post, we thought, “Sure, why not.” What we didn’t expect was for them to come back with super deluxe bronze mailboxes to the tune of $400 each. Now I know that a beautiful mailbox can add real curb appeal to your home, but a $400 outdoor box to hold bills seemed a little excessive to me. In searching for more affordable alternatives, I stumbled down the rabbit hole of novelty mailboxes, which, based upon the notices backorder, appear to be in high demand. Who. knew. 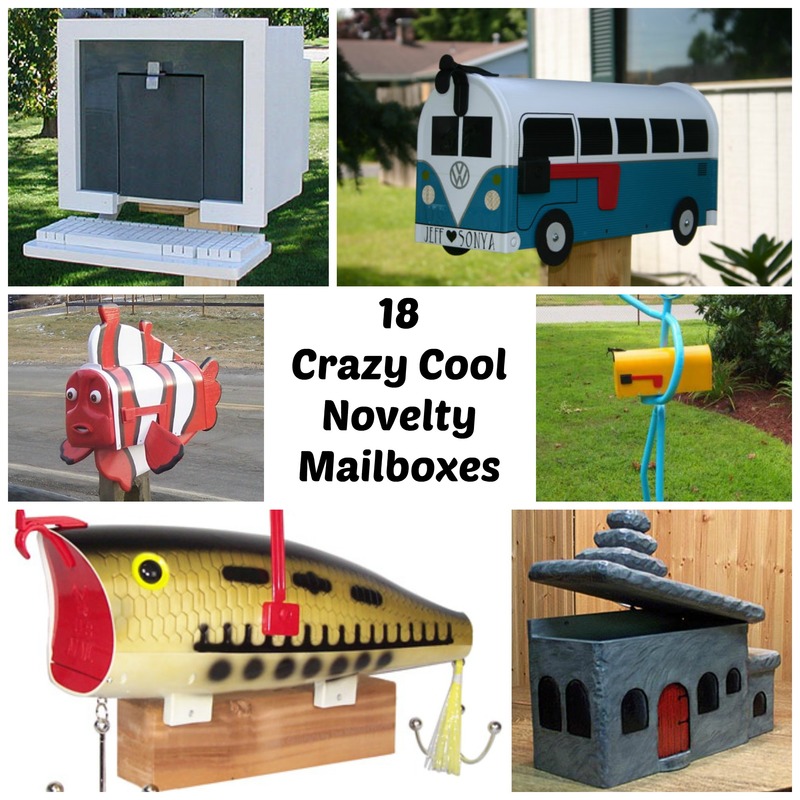 Take a look at 18 novelty mailboxes you have to see to believe!